In China, the way to vibrant health does not lead to the doctorÆs office; it is as close as the air we breathe. 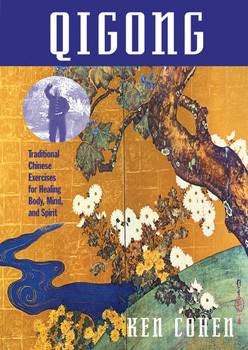 In Qigong: Traditional Chinese Exercises for Healing Body, Mind, and Spirit, you will learn ancient techniques for harnessing the massive power of qi - literally, the "vital breath" or energy of the universe. Thousands of years before the establishment of Western medicine, Chinese masters perfected a system of gentle movements and meditative postures that can channel qi into the body for detoxifying, energizing, and healing. Ken Cohen, preeminent qigong master in the West, presents authentic practices on Qigong. Using easy-to-follow language and dozens of demonstrations, Cohen shares a complete four-part workout you can practice any time you have a few minutes and enough room to stand and stretch.